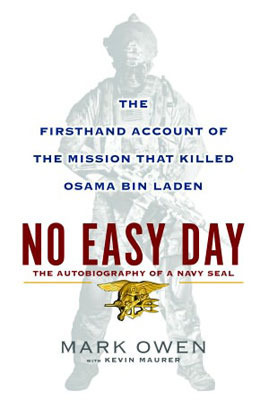 In No Easy Day, Mark Owen recounts his role in the top secret mission to locate and exterminate Osama Bin Laden. By the time he was handpicked to join the team for this risky covert operation, Owens was no stranger to these high stakes undertakings. As a 10 year member of the Navy SEALs, high pressure situations were almost second nature. Still, the chance to finally bring justice to the man who concocted the 9/11 attacks brought an anxiety that was almost palpable. Prior to the section on the fateful raid of Bin Laden's compound, Owen expounds upon his career. Most of this book is comprised of these recollections of intense training and exciting missions. I was especially surprised to learn that Owen took part in the operation to rescue Captain Phillips from the Somalian pirates who had hijacked his ship. Throughout these missions Owen and his team functioned with the high focus and precision of a well oiled machine. With human lives and national security at risk, they controlled their emotion by relying on their detailed drills and training. While the tactical details of the raid are fascinating to relive, especially in this first-hand account, they are not the most important takeaways from this book. Rather, the two things that stuck with me were the almost embarrassing ways that politics gets in the way of day to day military activity and Owen's unwavering sense of duty to his team and his country despite this political impediment. Owen describes how he sometimes had a lack of supplies or had to make do with gear that was not suited to the tasks at hand. While it is easy to see that the political bureaucracy that dictates funding for the military can cause some unintended obstructions, this should not be an excuse for leaving the men and women who make great sacrifice ill prepared. Owen also comments on how this raid was used by politicians of both parties to further their own careers. Thankfully men and women like Owen exist with the goal of living their lives for the greater good. He puts it best in saying, "Don't just live, but live for a purpose bigger that yourself. Be an asset to your family, community and country." This entry was posted on Wednesday, November 30, 2016 and is filed under America,Mark Owen,Military,No Easy Day,Nonfiction,Osama Bin Laden. You can follow any responses to this entry through the RSS 2.0. You can leave a response. I actually switched between the physical copy and audio on this one! What a fascinating guy. It's incredible that this guy was also involved in rescuing Phillips (I still have yet to see the movie dramatization of that incident). What a resume. I was really surprised to learn of his other achievements. I guess they truly did get America's best to take part in the raid!